If this is your baby’s first Thanksgiving, you are no doubt excited to share the holiday with your little one. But what should you be feeding your baby so that he or she can participate in the delicious dinner that you and your family will indulge in? Check out this short but complete guide to your baby’s first Thanksgiving meal so that you can learn what the best foods are for your baby, and how to turn your solid foods into yummy baby food. In this way, you can all enjoy the holiday together! What your baby can eat at Thanksgiving dinner will depend upon how old he or she is. 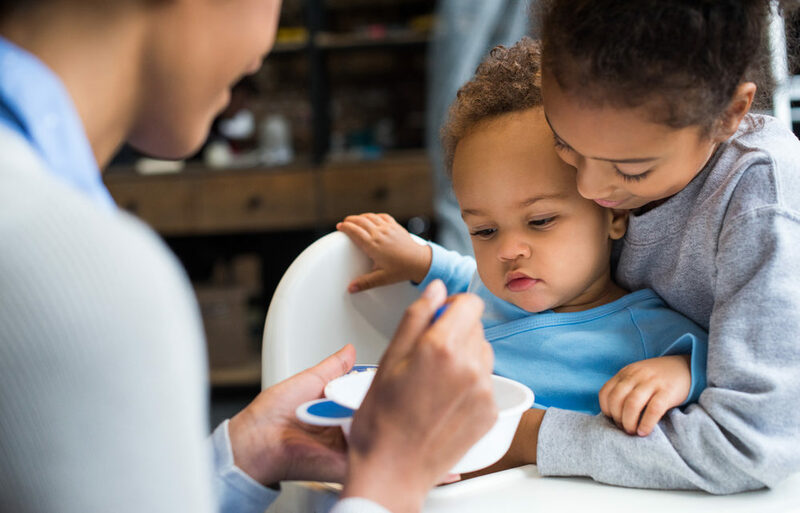 So, if your baby is about 6 months old, you can serve up some yummy and healthy pureed foods like squash, sweet potatoes, pears, apples, and green peas. On the other hand, if your baby is a little older, around 7 to 12 months of age, you could give him or her some diced turkey, chopped broccoli, cooked apple pieces, chopped cauliflower, mashed potatoes, and peas. Yum! When it comes to your baby’s first Thanksgiving meal, keeping it simple, without a lot of salt, seasonings, and dairy, is the way to go. So, as you cook, set aside those foods that you want to give to your baby before you add all the extra flavorings. If your baby is just getting into eating meat, turkey is a good choice. Just be sure that you cook it completely before pureeing it to make the appropriate texture for your child. Don’t add gravy to the mix. For babies that are 7 months and older, you can just chop up the turkey finely by using a food processor to make your life easy. 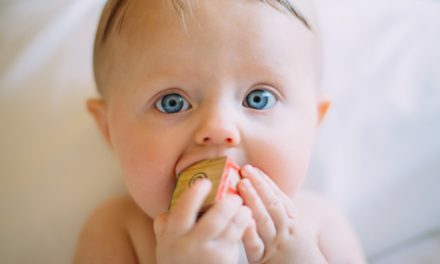 Your baby should enjoy the taste of pureed turkey and mashed potatoes, but if you don’t want to use white potatoes, you could offer your child sweet potatoes instead. The taste, though, will be enough, so don’t add any cream, butter, or other ingredients to the sweet potatoes like you would for the adults in the family. Babies who are older than 7 months may also enjoy cubed or mashed carrots, and they may even like a bit of cinnamon added to their mashed sweet potatoes. They might also like the taste of applesauce with a bit of nutmeg added. You could also mash bananas and add cinnamon, or mash some carrots and add ginger. As for dessert, you could combine finely crushed graham crackers, breast milk or formula, and oatmeal cereal in a bowl before adding some apple or pumpkin puree and refrigerating before serving. In addition to the foods and recipes listed above, there are some other options that you can put together for your baby’s first Thanksgiving meal. Pumpkin is a hit during the autumn season for a reason: it is tasty and versatile! Your baby is sure to love the savory, sweet flavor of pumpkin, especially if you prepare it just right. So, prior to making a pumpkin pie filling, set aside some of your pumpkin puree. Then, once dinner has been served, you can mix the puree with finely chopped turkey so that your baby can enjoy a yummy meal with the family. And if your baby is older, you could also add some cloves or cinnamon to your pumpkin puree for even more flavor. For a fresh, homemade alternative to apple pie that your baby can enjoy on Thanksgiving while everyone is having dessert together, simply peel and core an apple before adding it to a pot with water. Bring it to a boil, simmer until tender, drain, and puree the apple in a food processor. For babies 6 months and up, this is a yummy treat. And if your baby is a bit older, you could also add some cloves or cinnamon for some extra spice. If your baby is older, around 9 to 12 months of age, you could give him or her a bit of stuffing that has vegetables like carrots and celery, along with spices like garlic and onion. So, when making homemade stuffing, set aside some ingredients to put together for your baby’s very own stuffing. Just don’t add dried fruits and chestnuts to the mix, as these could be choking hazards. The key to preparing a perfect Thanksgiving dinner for your baby lies in knowing what foods you can feed your child and which foods are off-limits. 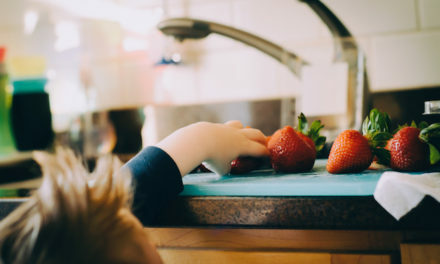 Depending upon your baby’s age, you can prepare some yummy meals that he or she can enjoy with the rest of the family, from the appetizer to the main course and even dessert. Done right, this is a meal that your baby will love!